Every home should have double glazed windows but not every home will suit the same type of window. 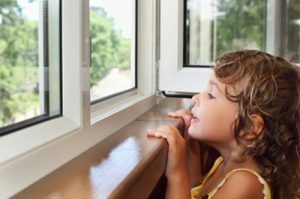 And that’s why at Streetly Windows we offer our customers a wide range of double glazing window designs, ranging all the way from a traditionally elegant look, to a more modern contemporary look. And we offer a choice of colour finishes, glazing and security options, all tailored to your individual needs. With us, you can get a conservatory built to your own specification. A uniquely designed conservatory from Streetly can truly rejuvenate your home, providing you with a beautiful new space for working, entertaining guests or even just relaxing for a bit. Our conservatories are comfortable, secure and spacious, and provide a stunning extension to your living space, giving you an opportunity to enjoy peaceful natural light all year around. And another plus is that you don’t even have to sacrifice the comfort of being indoors! Orangeries provide a great combination of both a traditional brick extension and a conservatory. You get a beautiful light and airy space due to the glazed roof – and that’s why an orangery makes another great addition to your home. Porches Why should you choose a Streetly built porch? Because we choose materials that will give your porch long-lasting strength so you won’t need to worry about things like cracking or shifting. We can provide you with a beautifully constructed porch that will stand the test of time, because we combine high quality materials with a precise installation process. Our glass rooms offer real value for money, maximising every inch of space and creating a fantastic family environment. Combining 32 years of experience in the double glazing and conservatory industries we can supply and fit you with a stunning new glass room. We are here to help you design, supply and install bespoke glass room solutions for your home. Our dedicated team of professionals welcome the opportunity to work with you and share our extensive knowledge to ensure a successful project from conception to completion. Do you know what can allow unseen rot to eat away at the structure of your roof and home? -Things like shabby roof linings, leaky gutters, and rotten wall cladding. But if you purchase from our wide range of PVCu Roofline products, this will provide you with just the protection you need from the relentless elements outside that pound away at your home. And since our great Roofline products are made with PVCu, you’ll never need to repair or repaint. Who wouldn’t welcome that convenience? Did you know that a beautiful stylish door can set the tone for your entire home? Your door is a key feature of your house. 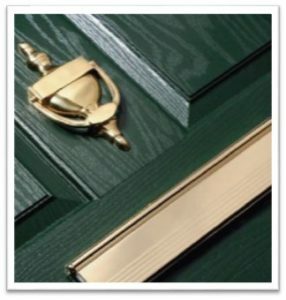 At Streetly, we offer you a wide range of exclusively designed and expertly crafted double glazed doors. And all our doors are virtually maintenance free and draft proof, helping to keep your home warm. You can have strength, quietness and security without sacrificing or compromising on style. Settle for either a beautiful looking or a well-built door? Forget about compromise, our company can give you both!